At Plans Plus Benefits, we pride ourselves on our integrity, our relationships, and our ability to get results. Since 1989 the experts at Plans Plus Benefits have earned a solid reputation based on the integrity of our people and the quality of our work. 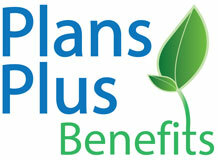 Plans Plus Benefits provides employee benefit plans, insurance products, and expert advice. Through strategic planning we carefully create a cost effective solution that not only takes into account your needs for today, but your vision for tomorrow. Our mission is to continually deliver true value-added by providing exceptional results. Call us today at (631) 423-6199 for a custom quote! Plans Plus Benefits is a full service brokerage agency specializing in the provision of health insurance products, along with other products such as Medicare, dental, longterm disability, life, 401k, pension plans, workers’ compensation and property and casualty insurance.